Chernyshevsky, Nikolai [Černyševskij, Nikolaj], b 24 July 1828 in Saratov, Russia, d there 29 October 1889. (Portrait: Nikolai Chernyshevsky.) Russian publicist and writer; ideologue of the revolutionary Russian intelligentsia. Chernyshevsky wrote for the journal Otechestvennye zapiski and later became the chief writer of the journal Sovremennik, the major organ of the revolutionary movement opposed to tsarist rule. Sentenced to penal servitude and exile for his participation in the underground organization Zemlia i Volia, he spent the years 1864–83 in Siberia. He wrote studies in political economy, philosophy, and literary criticism. Chernyshevsky was a critic of capitalism and economic liberalism; his socioeconomic views were those of a utopian socialist. In philosophical outlook Chernyshevsky was a materialist, but he did not subscribe to Marxist dialectics. He strongly identified himself with the populists and with the Russian Westernizers, opposing the Slavophiles. In his literary criticism Chernyshevsky was a spokesman for realism. His novel Chto delat’ (What Is to Be Done, 1863) became a programmatic work for the Russian revolutionary intelligentsia. Chernyshevsky considered the political movements of the oppressed peoples to be a positive phenomenon. In his works he defended the right of Ukrainians to develop their own culture based on their native language. He gave favorable evaluations of the works of Taras Shevchenko and other Ukrainian writers. 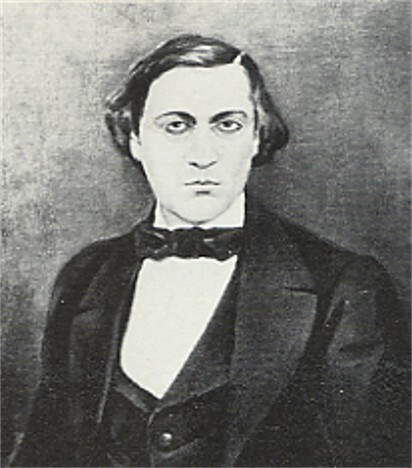 In an article entitled ‘Natsional’naia beztaktnost’ (National Tactlessness), Chernyshevsky sharply attacked the Lviv journal Slovo for its anti-Russian stance. Chernyshevsky's work was popularized by Ivan Franko and Mykhailo Pavlyk, who translated Chto delat’. Soviet historiography, maintaining its thesis concerning the invariably ‘beneficial influence of the Russian revolutionary democrats’ on 19th-century Ukrainian figures, exaggerates Chernyshevsky's influence on a number of Ukrainian writers, including Taras Shevchenko, Panas Myrny, Ivan Franko, Pavlo Hrabovsky, and Lesia Ukrainka. Pavlo Tychyna wrote his poem ‘Chernyshevs’kyi i Shevchenko’ (Chernyshevsky and Shevchenko) in this spirit.